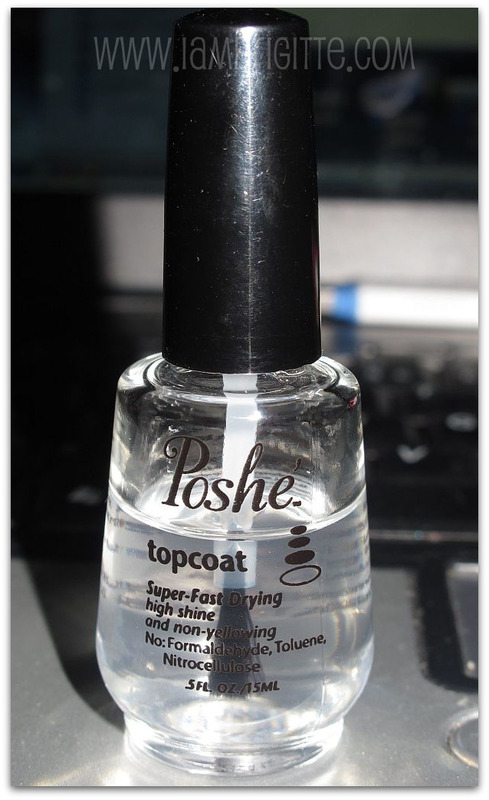 This fast-drying topcoat is the perfect insider product for busy lives. It dries to touch in one minute and is completely dry in 5 minutes, giving a glossy finish to your manicure whilst protecting from chips and breakage. Poshé is a high performance product containing only elements found naturally within the nail plate, thus focusing on nourishing and conditioning the nails and protecting the varnish, without using the potentially carcinogenic chemicals traditionally used in nail care. Poshé Super-Fast Drying Topcoat is a five-time Allure Editor's Choice winner, which for an independent brand that doesn't advertise is a serious achievement and testament to its effectiveness. This protective top coat has an extremely diverse, loyal following of beauty addicts and celebs, from Kate Beckinsale and Elizabeth Taylor to Jessica Simpson. Poshé stops nails from turning yellow and is even safe for cancer sufferers and those in remission to use as it's free from Formaldehyde & Toluene. I've been applying nail polish for a LOOOONG already. 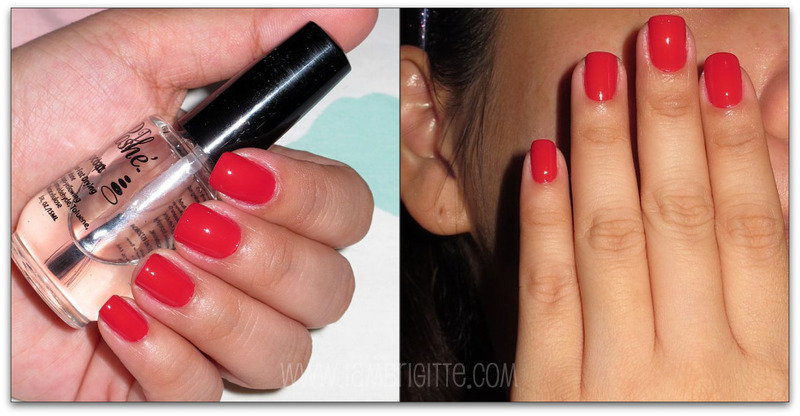 If memory serves me right, I think I started doing my own manicure-pedicure-polish way back in my 1st year highschool. I love wearing french-tipped nails, and if not, the colors beige or tan were the usual mainstays on my short nails. But I get frustrated whenever I would have to reapply my polish after it chips in just a day or two. I gave up and from then on, I only apply polish on special occasions. I dunno, maybe I'm just too frisky and I don't really take "extra" effort to keep my polish from chipping. So if I had my polish today, I'm assured that I am to take it off tomorrow or the day after. But after trying out POSHE top coat, now it's a different story. left: I had my manicure and the red polish on Friday morning, notice that the polish looks dull. right: I applied Poshe top coat and the polish looked more smooth and vibrant. dries up fast. I once applied my polish right before going to bed, waited a few minutes and dozed off. I was expecting to wake up with sheet marks on my nails in the morning, but no..my polish still looked like it has just been applied. expensive at almost $9.49, but for a product that really works? this is worth your moolah! there's a very, very minimal tip wear on the left since my right hand does most of the job. for me, this is very acceptable considering that it's been 5 days. Probably it would've stayed longer if I just stayed in one corner and did nothing...LOL! good thing we no longer need to get it from a US store. Our very own Sol of Digitaltraincase (who's a nail polish addict herself) sells it for only Php480. That's my HG topcoat too! I've been using it for 2 years now and I'm on my 2nd bottle. It's Big 3 Free too so very safe to use and doesn't cause yellowing of nails. Wow! Very very nice color! It suits you.